A couple days ago you might remember I told you that I was going to be a guest designer for the NEW catalogue summer session in July. Well, early bird registration opens this weekend and for the first 50 people to register there is a special discount price of $19.95! (For those of you who work in pounds that's £12.85!!) I think you'll agree that is a bargain price considering everything you'll get your hands on! You can take advantage of this fantastic price and see what I have up my sleeve by registering today! Here's the link, and send me a message to say you've signed up so I know you're joining in with all the fun! 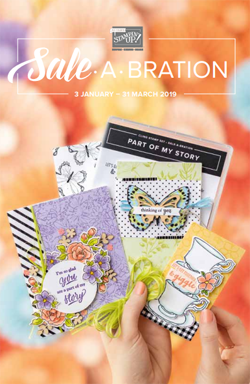 And don't forget, everything I'm sharing with the Inky Fingers Club is exclusive and won't be seen on my blog so you'll have to sign up to see what I've made for y'all! I know you're sure to LOVE it!! 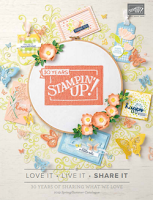 You can also take advantage of an Embellishment Pack which will include some of the embellishments each of the designers are using at your fingertips! Now for something to inspire you to be creative today! The Grey and Starfruit card is actually the back of the little notecards that come in the Boutique Boxes kit. The paper button was one of he embellishments and so was the Crumb Cake baker's twine! 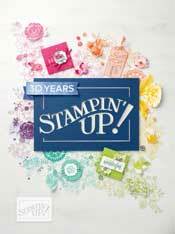 Layers were added by stamping lots of different stamps on top of one another. The feathers are actually the negative left from the feathers - I just cut them apart, added some 2 way glue and then used a sponge dauber to sponge some pretty feathers over the background! I just LOVE how they turned out! Its also a great way to use something that would otherwise get thrown away without a second thought! What do you think? Are you impressed at my use of scraps and throw away items? I hope that this has inspired you to think differently to some of your scraps! Brilliant! Such a great effect on the background and I have loved seeing how you used this kit! Hi Amanda !! I am a gust designer for Inky Finers as well !! Can't wait to see your projects !! I am your newest follower. Come over and visit my blog too !! www.catherinelovesstamps.com Cheers ! !